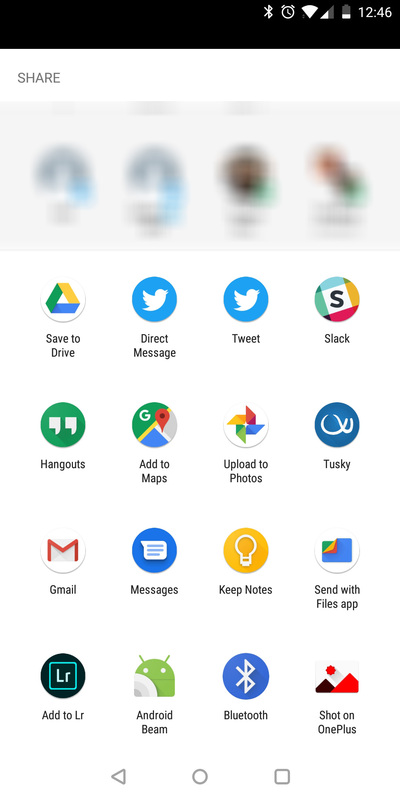 Android app shortcuts are rarely utilized, likely because they aren't easily discoverable. 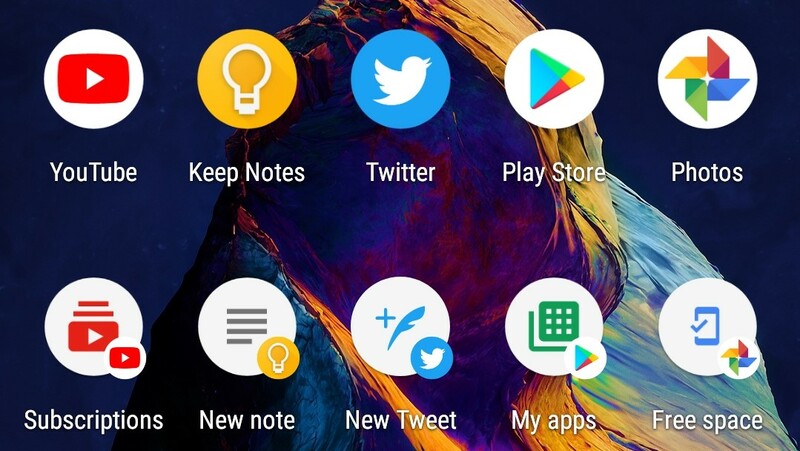 If you have always visit the same screen in a certain app, replacing that app's icon on your home screen with a shortcut might help you out. Here's an example: if you're like me, most of the time you open the Play Store is to check for app updates. In that case, removing the Play Store icon from your home screen and adding the 'My Apps' shortcut can save you a few taps. 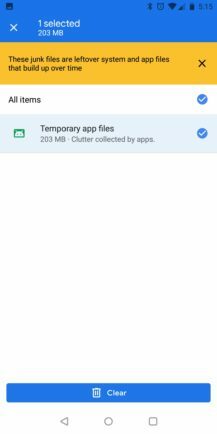 Some other examples include replacing the Files app with a shortcut to internal storage, or replacing the the YouTube icon with the Subscriptions shortcut. If you've never used shortcuts before, just hold down on an app (in either the app drawer or home screen) to see which shortcuts it provides. The shortcuts API was added in Android 7.1, so if you have an older device, they might not be available for you. 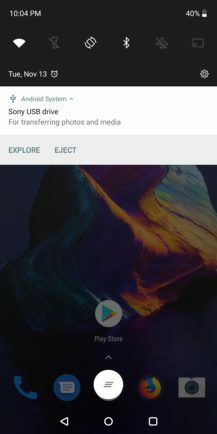 Android's ability to connect to USB devices isn't anything new, but it's incredibly underrated. Do you need to transfer files to/from a flash drive, or backup pictures from your camera? Just plug it in, and a notification usually appears from your phone's file manager. Do you need to type out a book report on the go? Plug in any old USB keyboard (and/or mouse) and you're good to go. Android's support for external devices doesn't end there. You can plug in USB headsets (I do this when I'm expecting to be on a long call), Xbox controllers, SD card readers, hard drives, Ethernet adapters, and even floppy drives. In the past, using USB devices with Android usually required buying a microUSB OTG adapter. Now that we're in the age of USB Type-C, there are plenty of external drives and accessories that can connect to Android phones without an adapter. You can also use any regular USB Type-C adapter — even ones intended for use with actual computers. 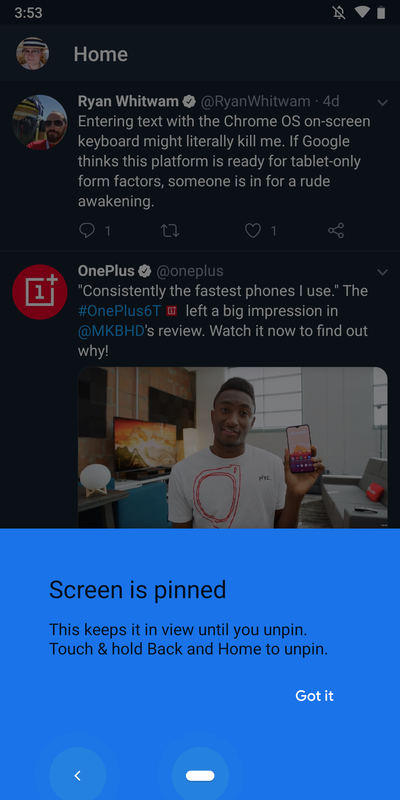 As you probably know, swiping down on the status bar shows your notifications, and another swipe down is required to access all your Quick Settings toggles. To save time, you can actually swipe down with two fingers to instantly open the Quick Settings. This saves me seconds every day. 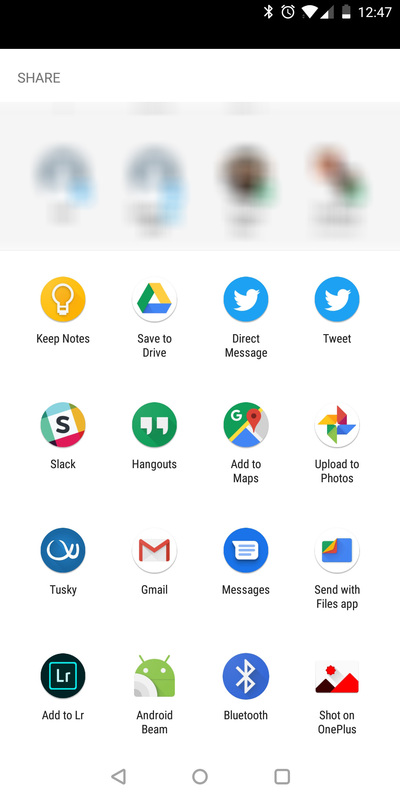 Android places limits what applications can do in the background, especially with the recent Pie update. 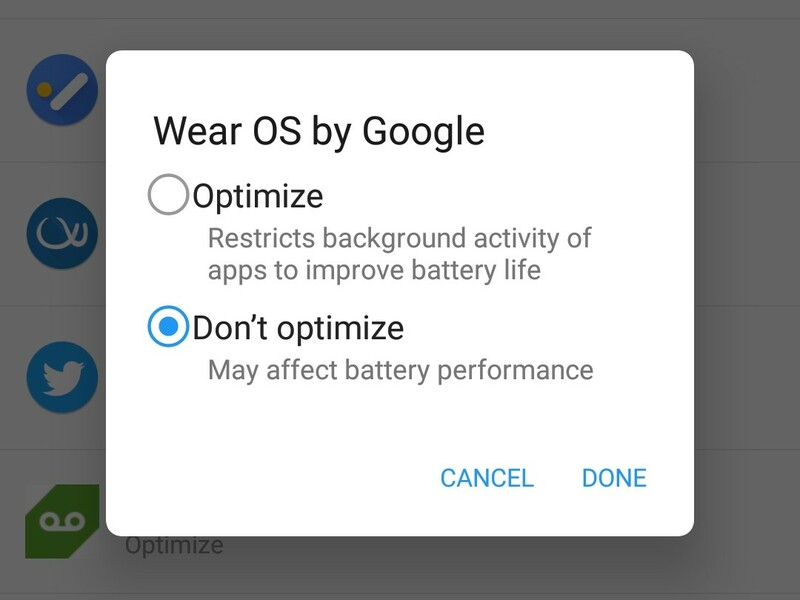 While most apps will still function normally under Android's battery micromanagement, there are a few that definitely work better with optimizations turned off. This is especially true for wearable companion apps, like Fitbit and Wear OS. Should the need arise, you can easily disable battery optimizations for a certain app. 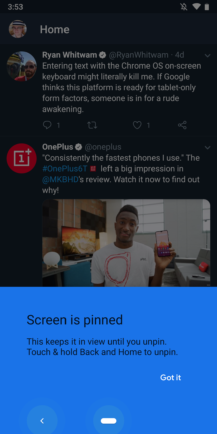 Just hold down on the desired application on your home screeen, tap the Info button/icon, and look for a Battery menu option. The exact wording and location varies by what kind of device you have, but you should see an option for 'Battery optimization' somewhere. Most Android phones have a 'Night Light' feature, where the amount of blue light on the display gradually reduces as the sun goes down. This is meant to counteract the negative effect that blue light has on the human eye, especially when using your phone in bed. 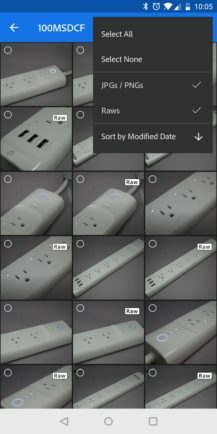 The setup process varies slightly depending on what Android phone/tablet you're using, but the Night Light options should be under the 'Display' menu in the Settings app. You can also try searching for "night light" in the Settings. This one might seem obvious, but it's worth mentioning anyway. On almost every Android phone, you can double-click the power button to open the camera. Some devices have other shortcuts to perform the same action, like twisting on most Motorola phones, but the power button one is nearly universal. If you regularly listen to music with only one earbud in, Android has a handy feature that merges the left and right audio channels. That way, you can still hear the full range of music with only one earbud. The exact location of this setting varies by device, but if you search for "mono" in the Settings app, an option for Mono audio in the Accessibility menu should appear. Another great Accessibility feature in Android is ending calls by pressing the power button. This allows you to hang up without looking for the End Call button on the phone app. This option can be found in the Accessibility section of the Settings app, or by searching for "Power button" in the Settings. 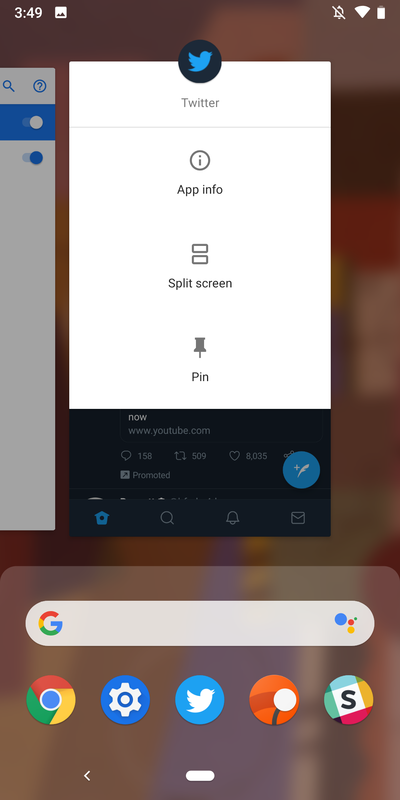 Screen Pinning was added all the way back in Android 5.0 Lollipop, but many people still aren't aware of it. It allows you to lock a certain app, requiring a lockscreen password to close it or switch to another application. This is extremely useful when someone borrows your phone —they'll only have access to the app you opened for them. 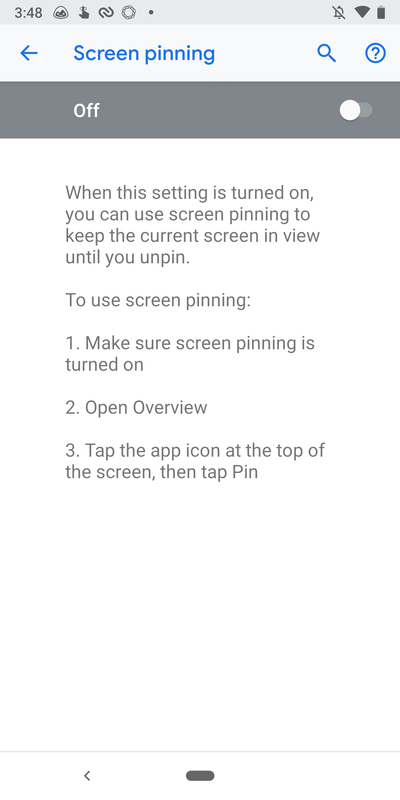 To set it up, search for "screen pinning" in the Settings app (or on Google phones, go to Settings > Security & Location > Advanced). 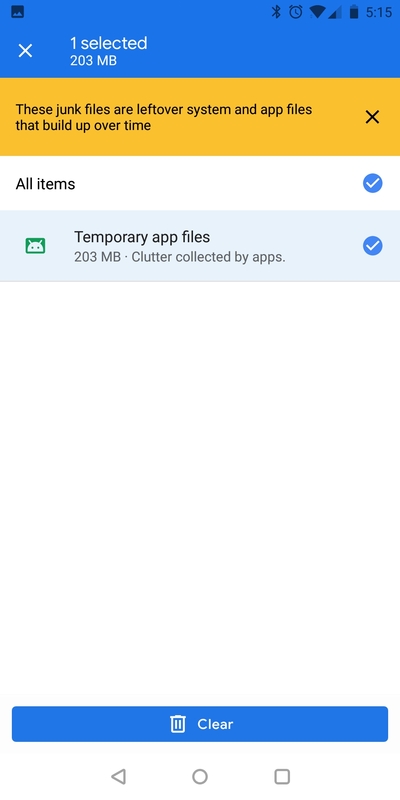 The exact method for pinning/unpinning an app depends on what version of Android you're running, but the Settings panel should explain how it works for your device. 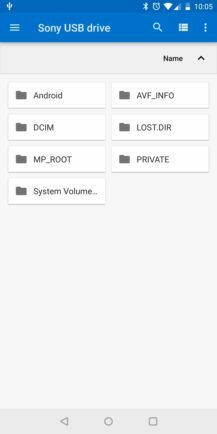 Like most operating systems, Android keeps plenty of cached files stored on your device, to avoid downloading them again later. 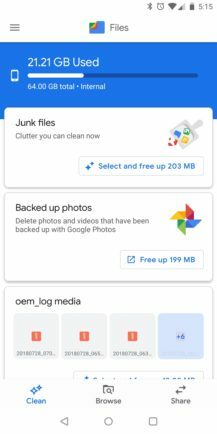 If you're running out of space on your phone, or a few apps are behaving strangely, you can try deleting these cached files using Google Files (formerly Files Go). 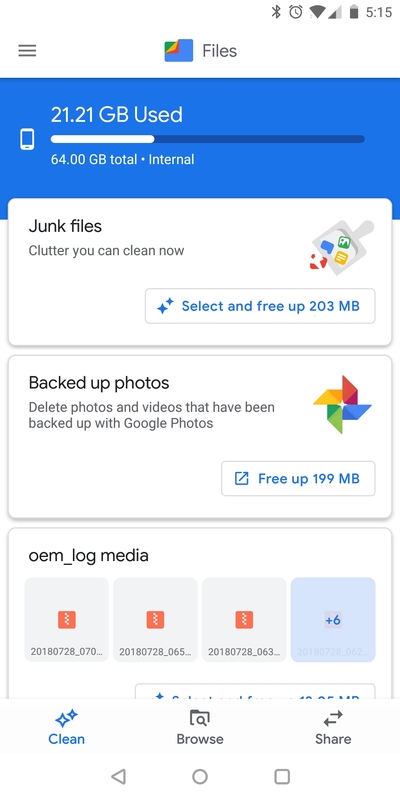 The app can erase multiple types of files, including junk/cached data, downloads, and media backed up to Google Photos. 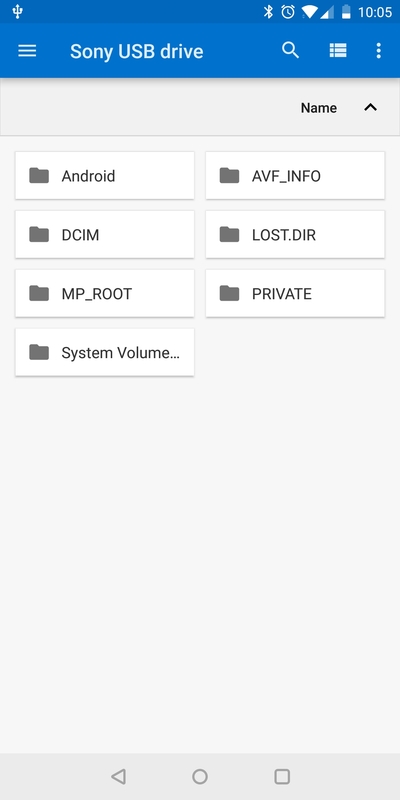 It can also send files to other nearby Android devices. 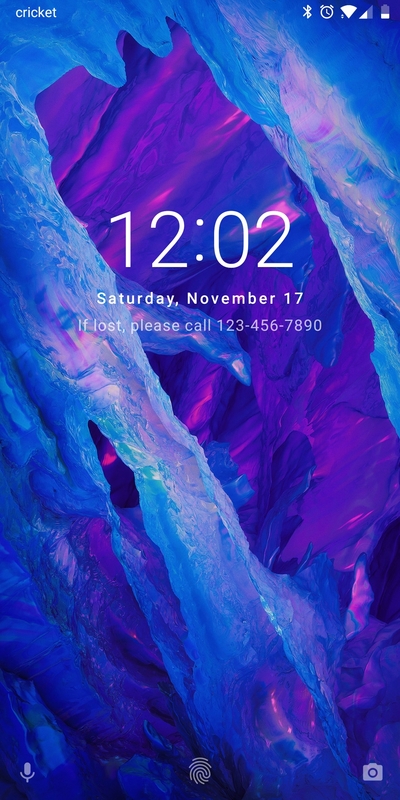 Another little-known feature of Android is that you can add a short message to the lock screen. 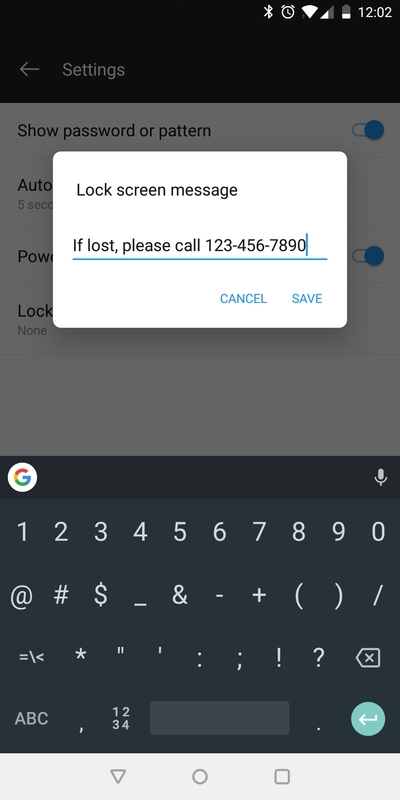 For example, you can leave the contact info of a friend or relative, in the event your phone is lost. On most devices, this option can be found under Settings > Security & Location > Tap settings gear next to 'Screen Lock' > Lock screen message. You can also just search for "message" in the Settings app. 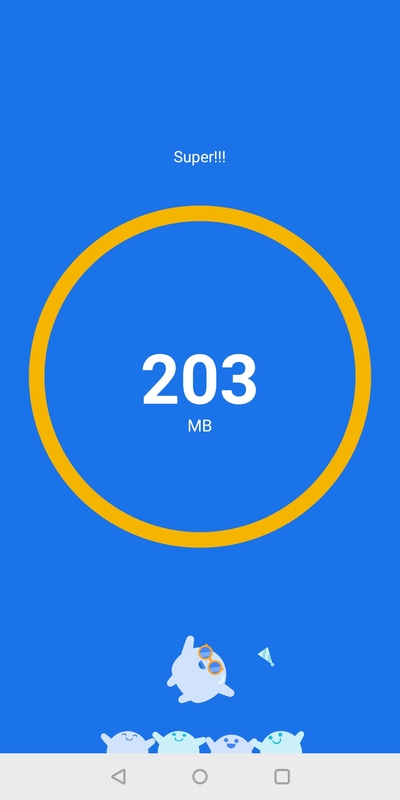 On some Android devices, a mobile data connection is always on, even when you are connected to Wi-Fi. This makes switching from Wi-Fi to a cell connection much faster, but it also has a negative effect on battery life. This setting can be turned on or off from the Developer Options. If you don't already have the Developer Options menu visible in the Settings app, tap on 'About phone' (it should be near the bottom), and keep tapping on 'Build number' until you get the 'You are now a developer!' alert. This will make a new 'Developer options' menu appear on the main Settings screen. 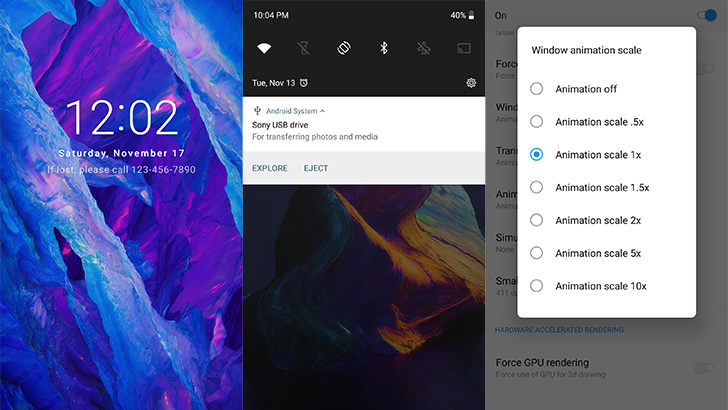 Once that's done, open Developer Options and find the toggle for 'Mobile data always active.' Here you can turn the feature on or off. Android's Share menu is... not great. 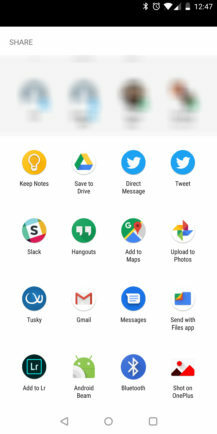 Google promises to fix it at some point, but in the meantime, pinning commonly-used apps and actions can make it a bit more usable. 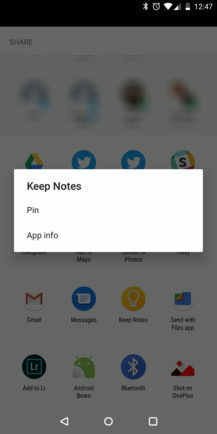 When you pin an app, it will appear at the top of the menu, so you won't have to scroll far to find it. 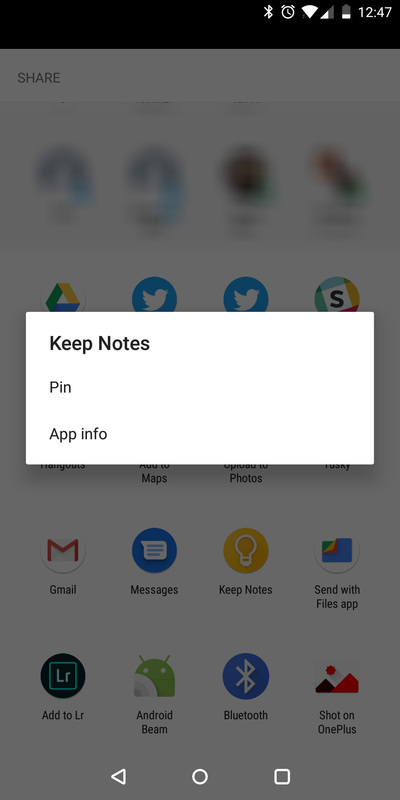 Notice how pinning Google Keep moves it to the top of the menu. 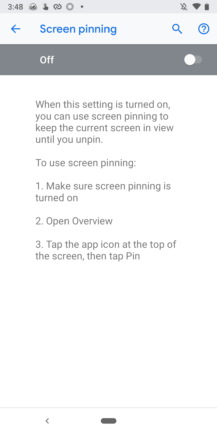 To pin an app, just hold down on it and tap 'Pin.' 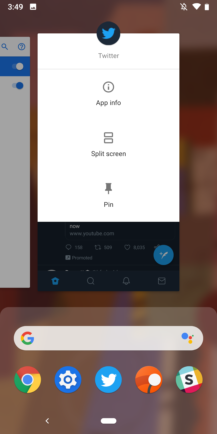 To remove a pinned app, hold down on it again and tap 'Unpin'. The one catch with this is that it doesn't work on custom share menus, like those used by YouTube and Google Photos. 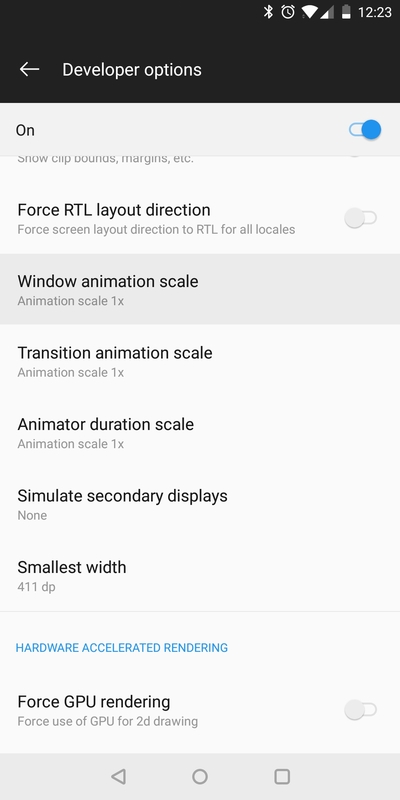 One of the ways to make an older Android device seem faster is to slow down (or completely disable) all animations. This can cause some apps to behave strangely, but it can definitely help performance on old phones and tablets. After that, open the new Developer Options menu (on the main screen of the Settings) and look for the 'Drawing' section. Here you can change the speed for window and transition animations. 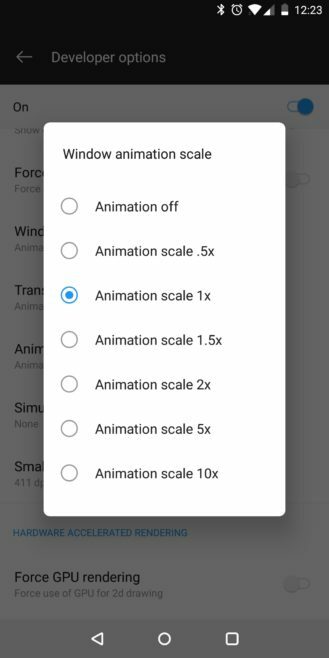 Changing these to 'off' will completely disable animations, and changing them to '.5' will make them twice as fast.